Cuthbert, also called the God Saint, is the lord of good-hearted paladins whether they directly serve him or not. Remember, dominion is shared in Heaven. A paladin of Pha Rann or any other good god also serves Cuthbert. Cuthberics, whether a paladin, a cleric, or a worshipper, can be identified by their insistence that Good and Evil are absolute principles. There is no spectrum, no gray areas in the world. People and their actions must align with Good or by definition, they are evil. This type of worship takes just a few forms. Personal insistence on following a Good path and disavowing any evil action. These individuals tend to become friars and wanderers seeking to create Good in their own lives and those they are "destined" to meet. If they live long enough, they can become great sages and heroes. The other type, most often paladins and clerics, will seek out evil and attack it with the purpose of destroying it. While older and more experienced Cuthberics can moderate their feelings, new converts struggle with priorities. Their tendency to lash out and slay evildoers points them at allies just as often as actual enemies. It is said that Cuthbert ascended when he led his followers into Hell to vanquish Asmodeus himself. He became trapped in the middle layers of Hell. His worshippers insist that he ascended (this is true) but others mock them for worshipping a god that could not complete his mission. Though they are referred to as brothers, Kargoth and Cuthbert are not related. 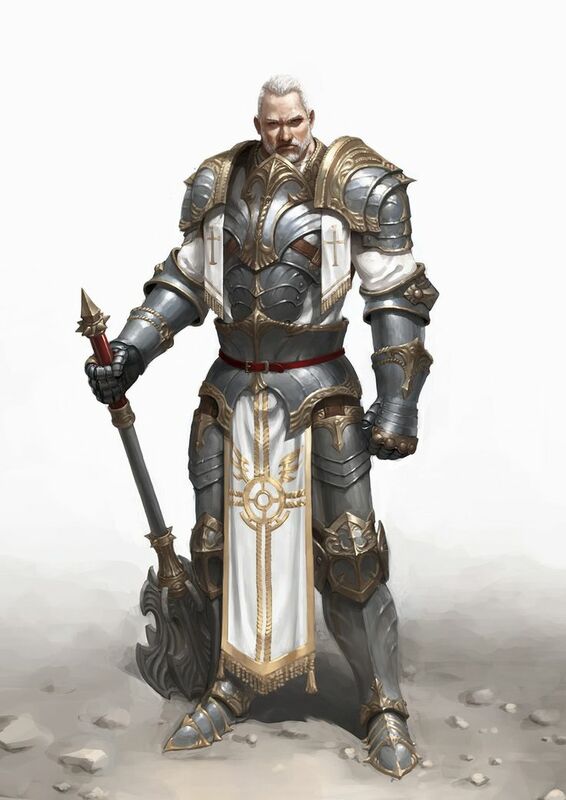 Based on the oppositional principle, once Cuthbert claimed "good paladins", the anti-dominion became available and Kargoth, who had been a devout warrior, filled that. Kargoth does not worship any single god... but considers himself a devout guardian of the Nexus of Chaos. After all, a paladin not strong to get past Kargoth could never take on Demos-Gorgos.